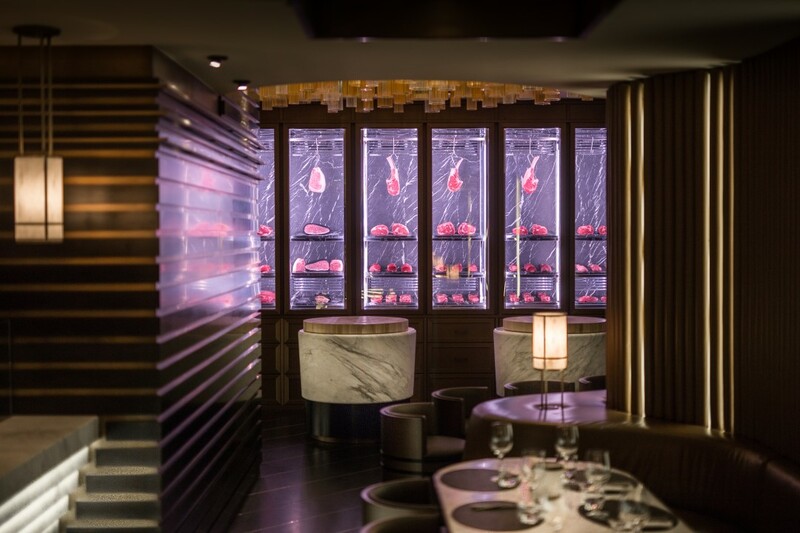 It was more than 5 years ago when I had booked my first dinner at Beefbar in Monaco and I still remember that night not because of the great ambience and menu but because of its very eccentric, in a European sort of cute way, maître d.
Any how, years have passed, Beefbar has become a dining institution in Monaco, a must-visit table especially when on a romantic dinner and today Beefbar has decided to go further and to launch a new concept: a top of the range butcher – The Beefbar Butcher Shop. 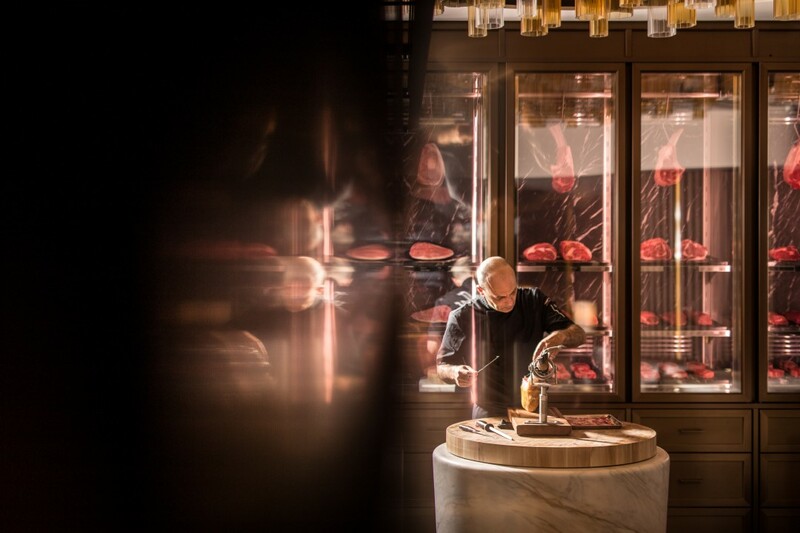 Designed by the Monegasque agency Humbert & Poyet a very design-forward duo also known for the making of my favorite Song QI restaurant in Monaco, they have created interiors that reflect the restaurant’s and the butchers philosophy. 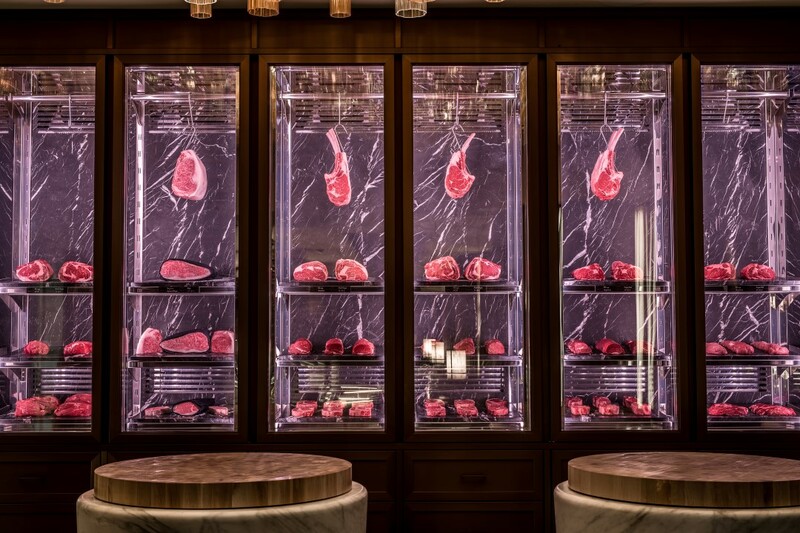 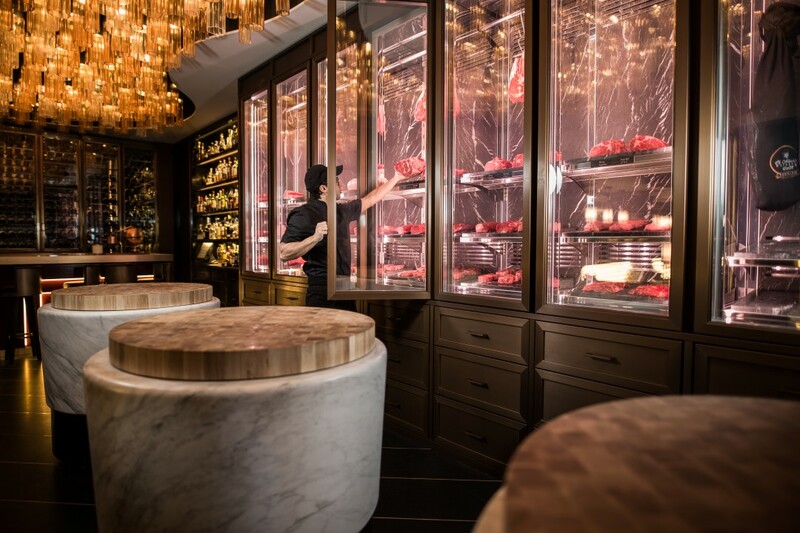 Between luxury and modernity, the white marble greatly combined with the black marble, brass and wood, in order to reveal the cuts of exclusive meat. 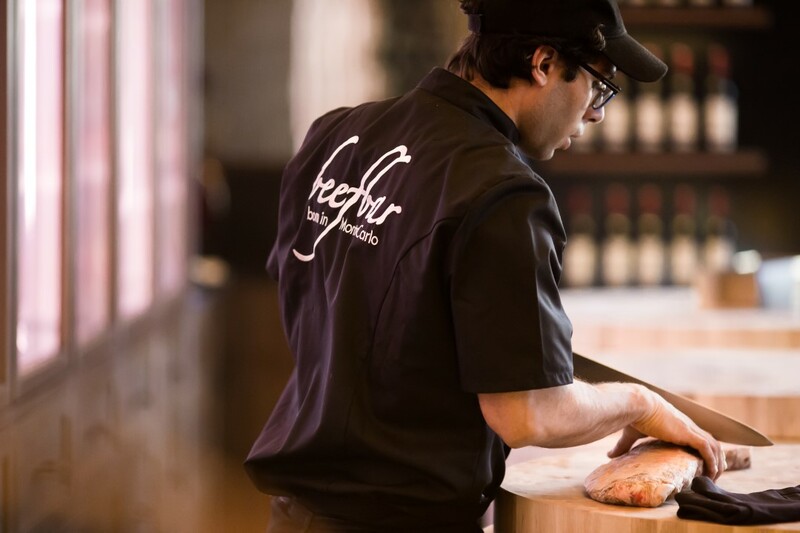 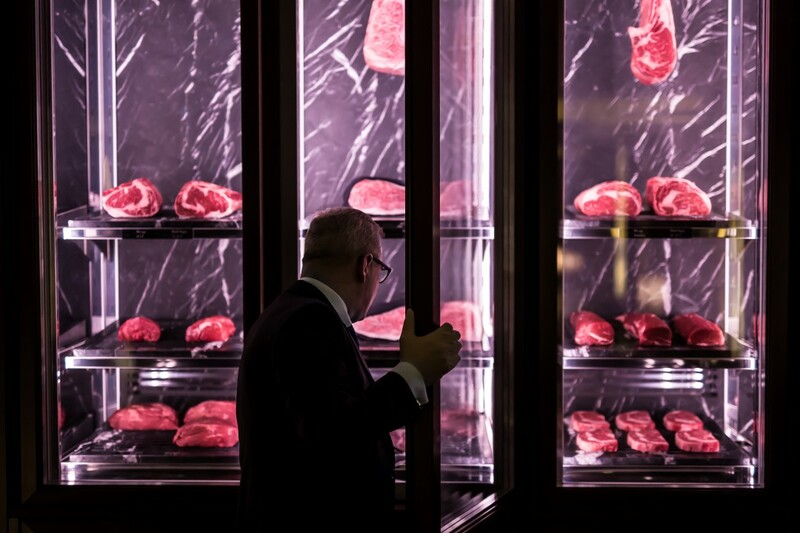 Since the 22nd February, the clients are able to visit this new generation butcher to choose and buy the cuts- filets, entrecote, steak, ribs, and tenderloin of exclusive meat, under the informed advice of our butcher. 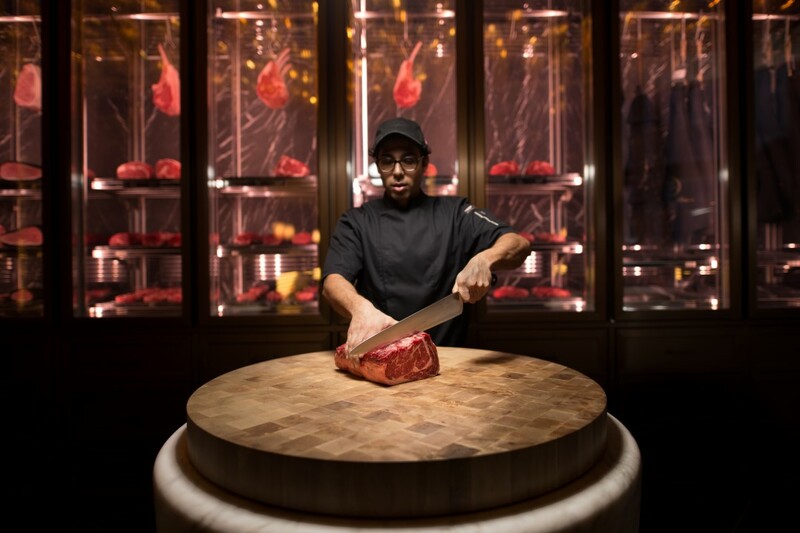 This meat, whilst appreciated by the connoisseurs, remains the best in terms of tenderness and quality. 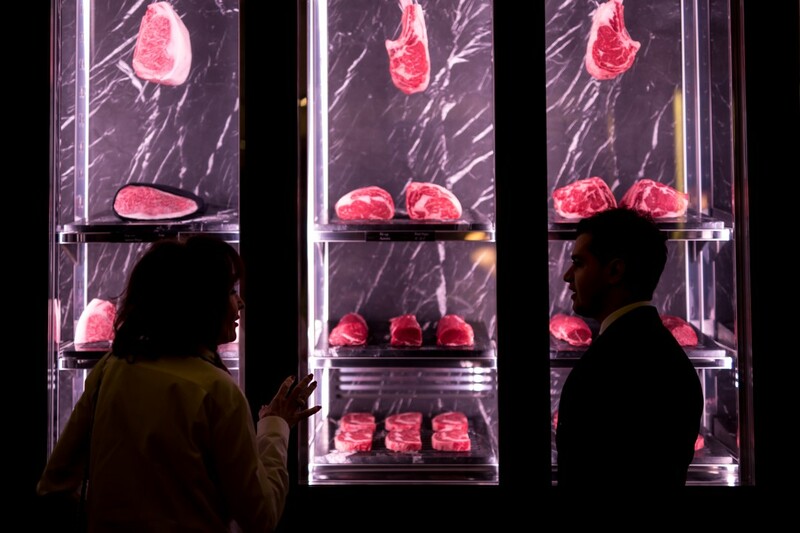 Australian Black Angus possesses a remarkable degree of marbling, a sign of a piece of meat which is extremely tender and exquisitely flavorsome. 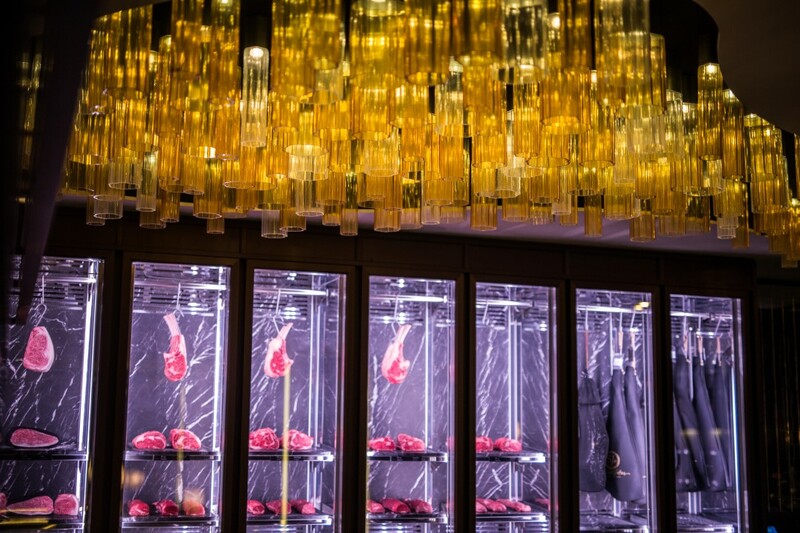 – Milk fed Veal – HOLLAND. 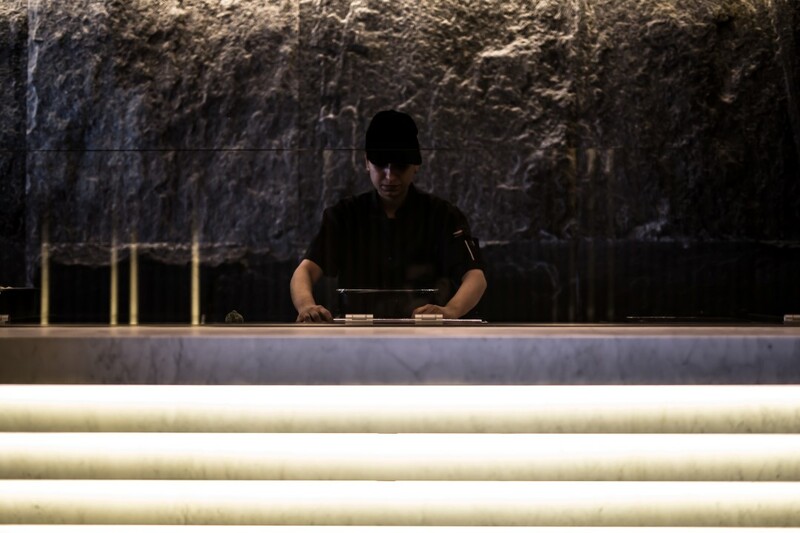 As of the 15th March, home delivery is available in less than 40 minutes with Mr Room Service.